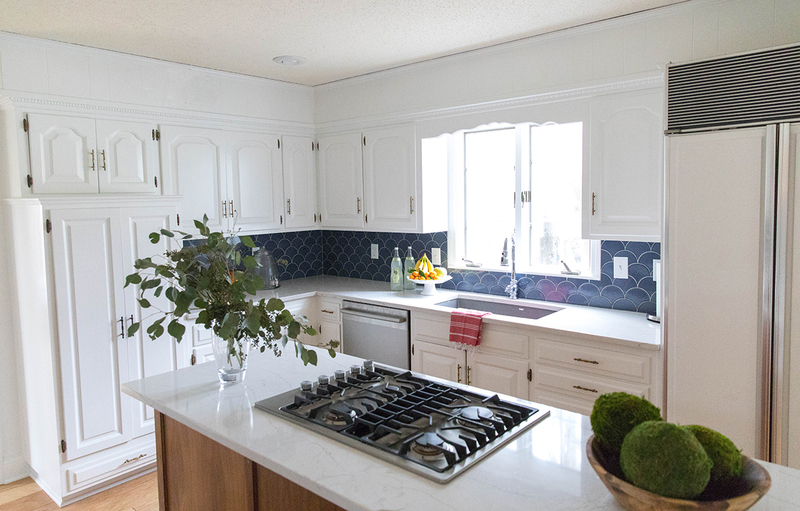 This adorable family of 3 reached out to us to help them navigate the remodel process on their new home purchased in Mission Hills. 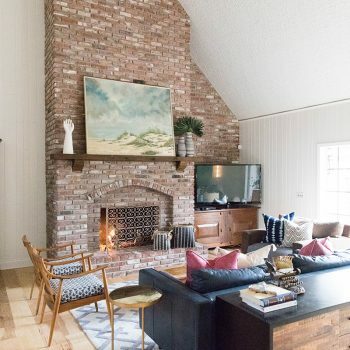 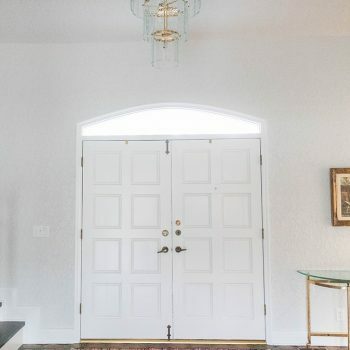 Being built in the 70’s, this home was a vintage tudor style home that was in desperate need of updating. 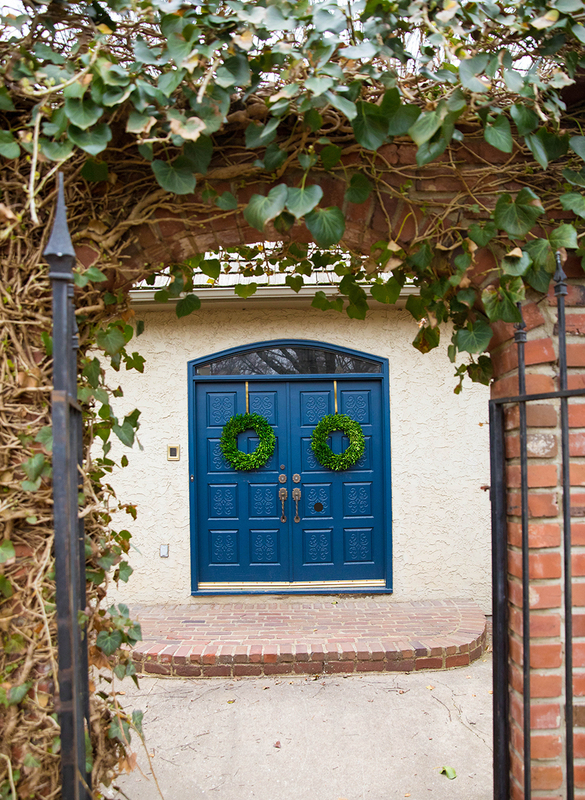 Us, along with our clients, could see the potential in this one owner home and were excited to take on the challenge. 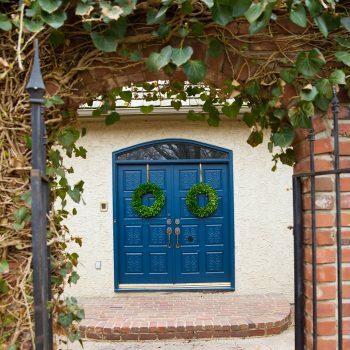 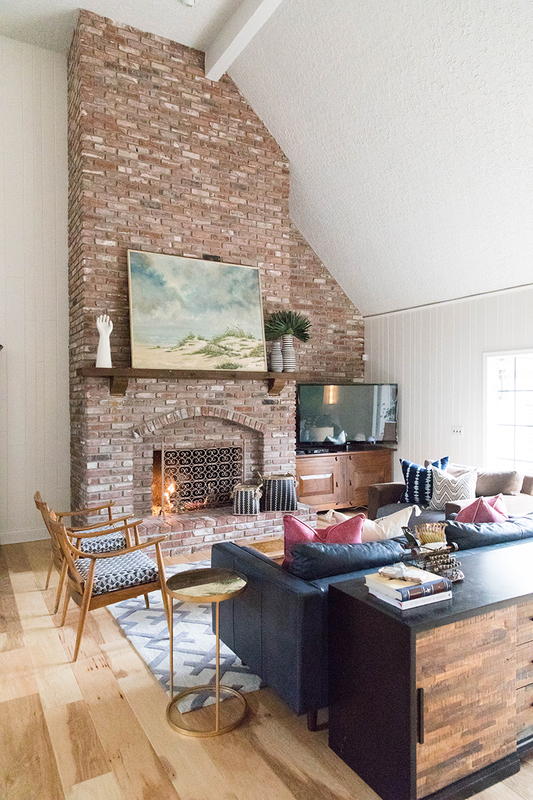 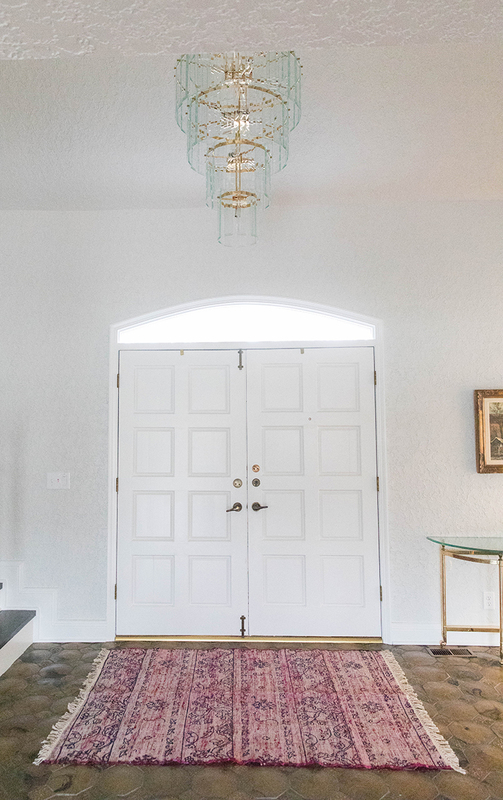 Our collective goal was to give the home a major face lift, give it a California “bright and light” feel, while staying true to the integrity of the architecture and elements of the original home. 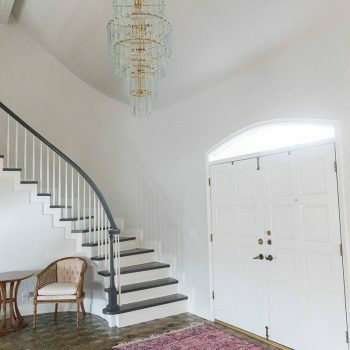 Overall, we painted most of the walls, ceiling and trim white to really open up and brighten the spaces. 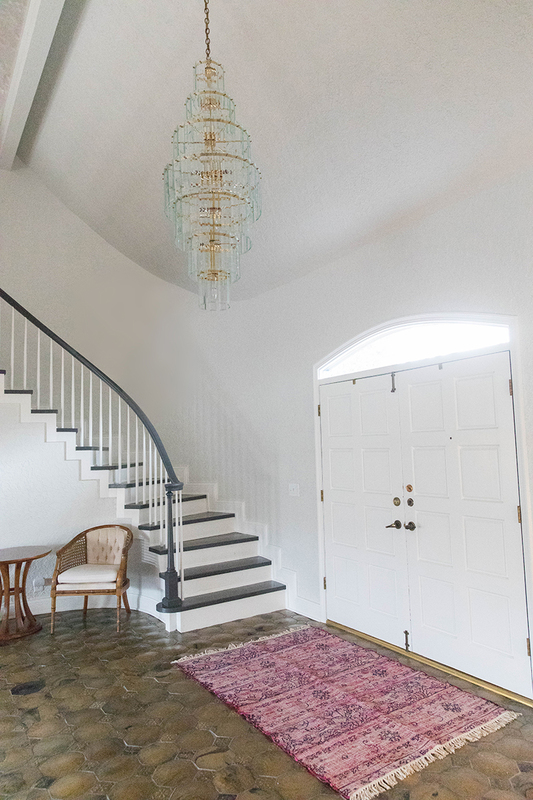 We specified a beautiful large plank engineered hardwood in a light hand-scraped stain to lighten the overall palette as well. 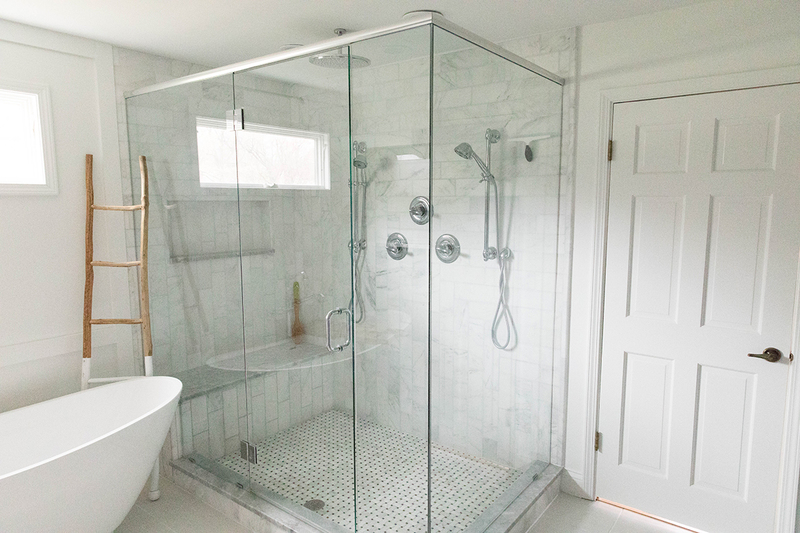 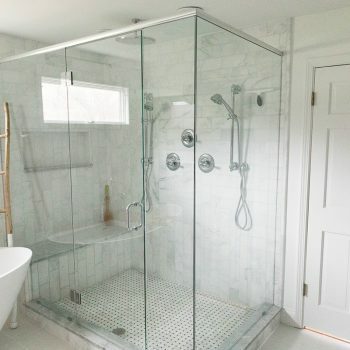 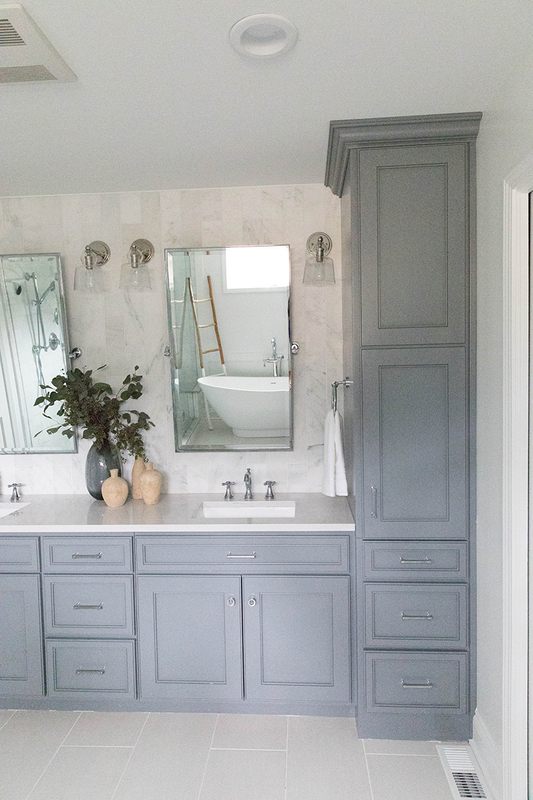 The major piece of the puzzle was reconfiguring the master bathroom and first floor guest bathroom to make it more functional for the family. 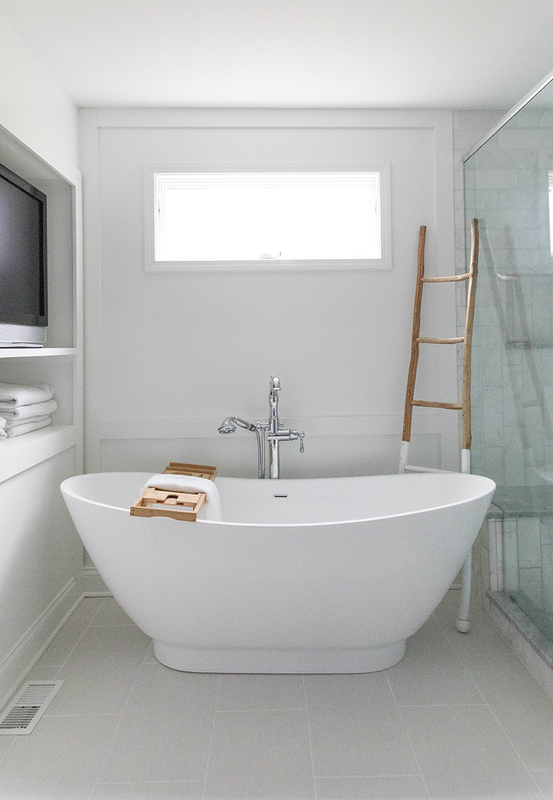 Our first order of business was removing the sunken jacuzzi tub, his and hers master closets and taking the entire space down to studs. 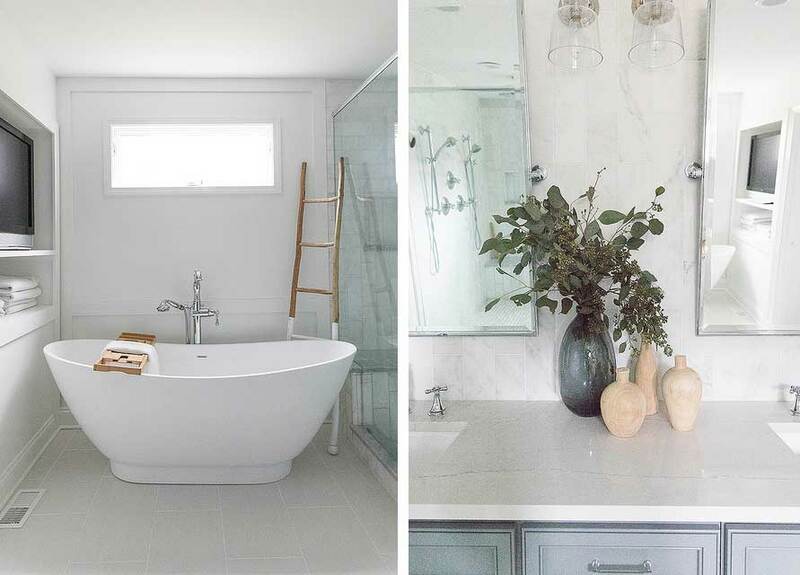 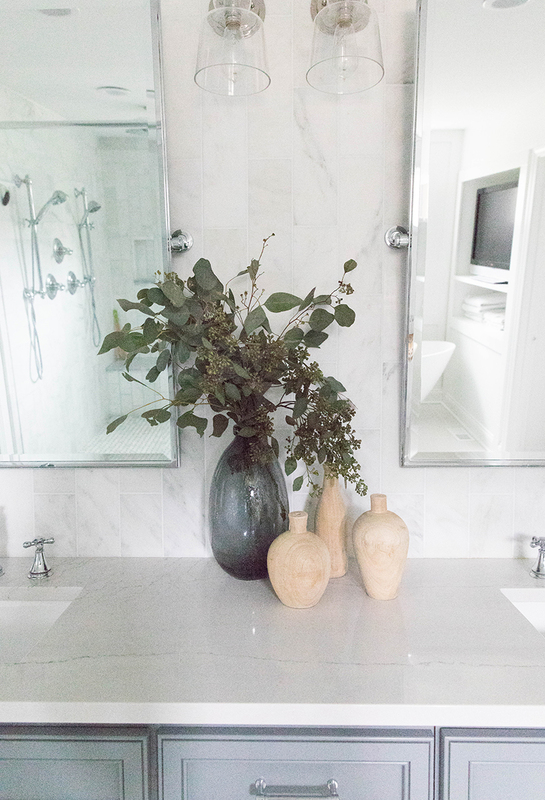 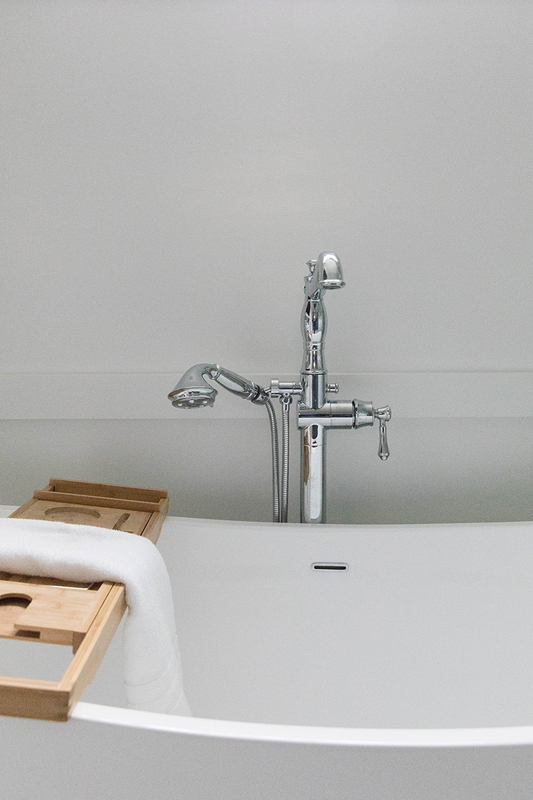 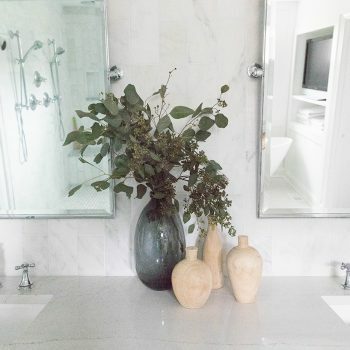 We transformed the master bathroom from dark and dated to bright and fresh – highlighted by a soaker tub, large glass shower, marble tile and chrome fittings. 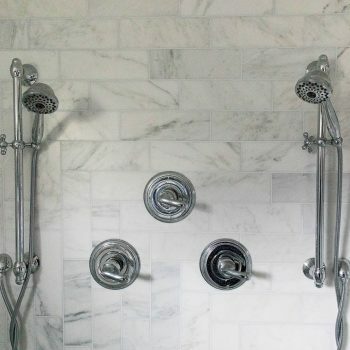 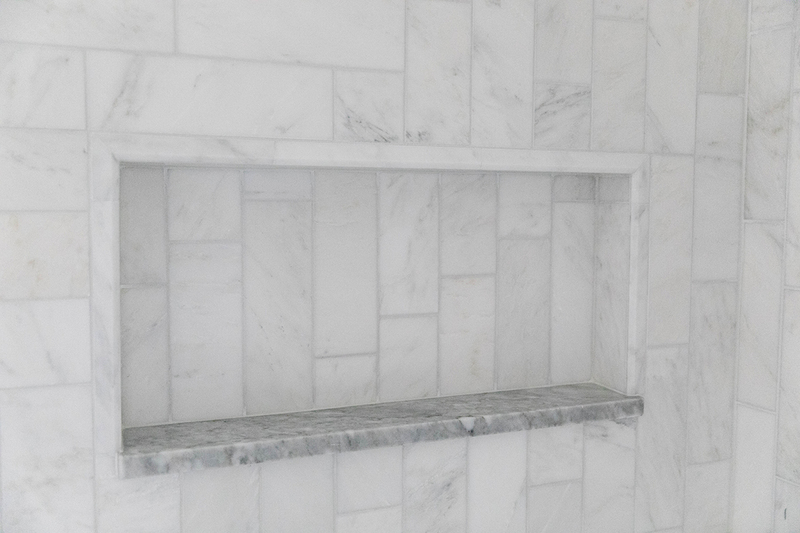 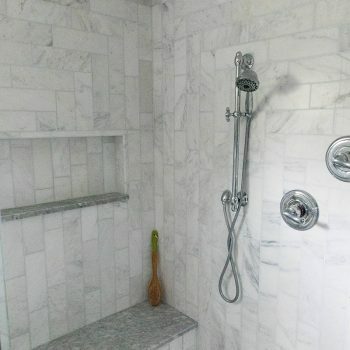 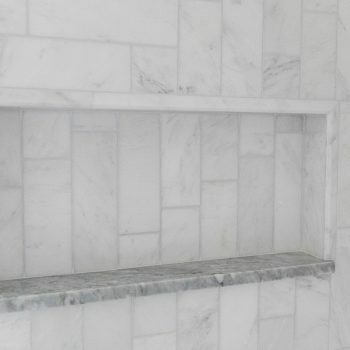 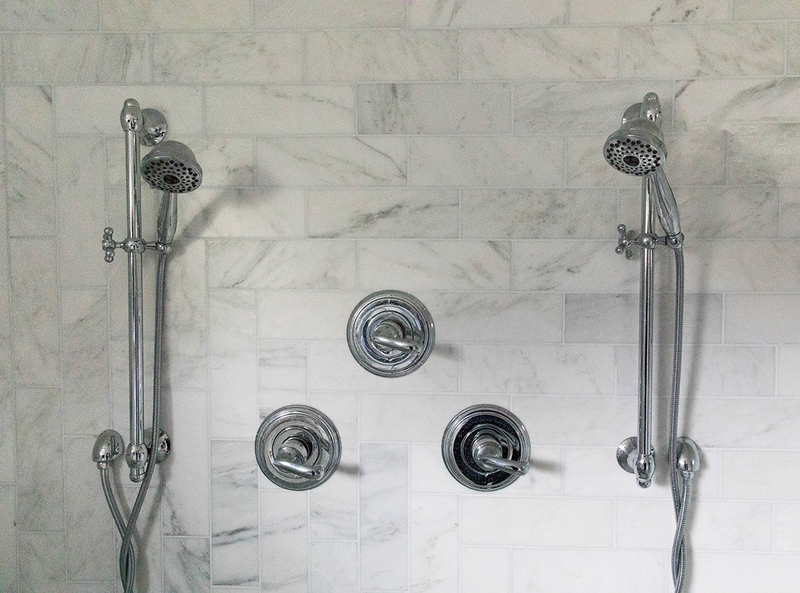 We chose marble subway tile for the shower walls but rather than laying it in the traditional subway lay, we chose a more unique angular layout. 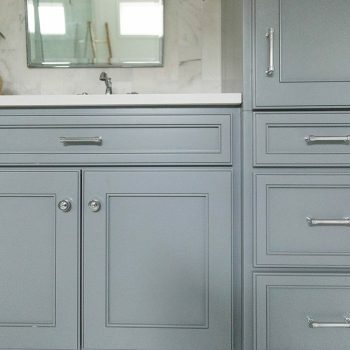 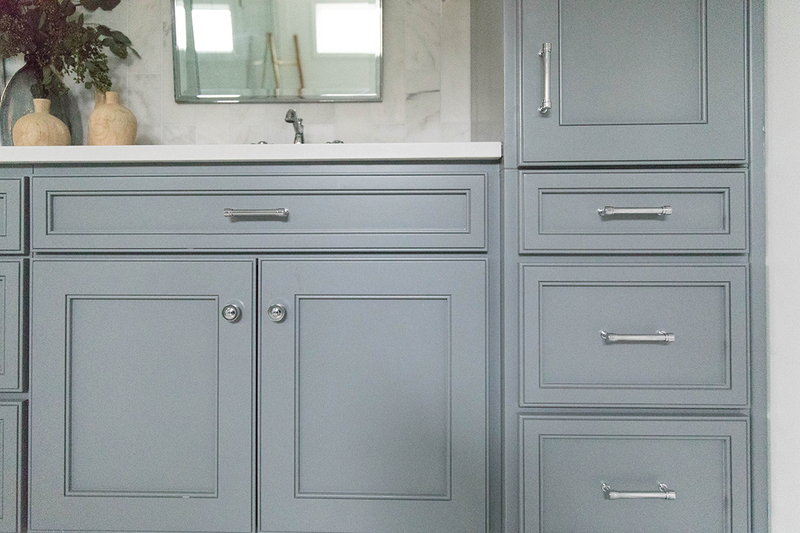 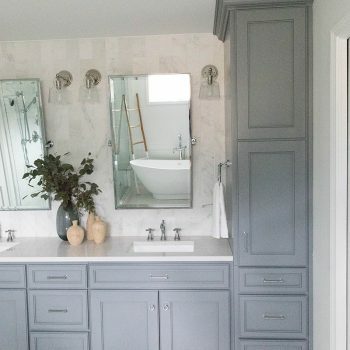 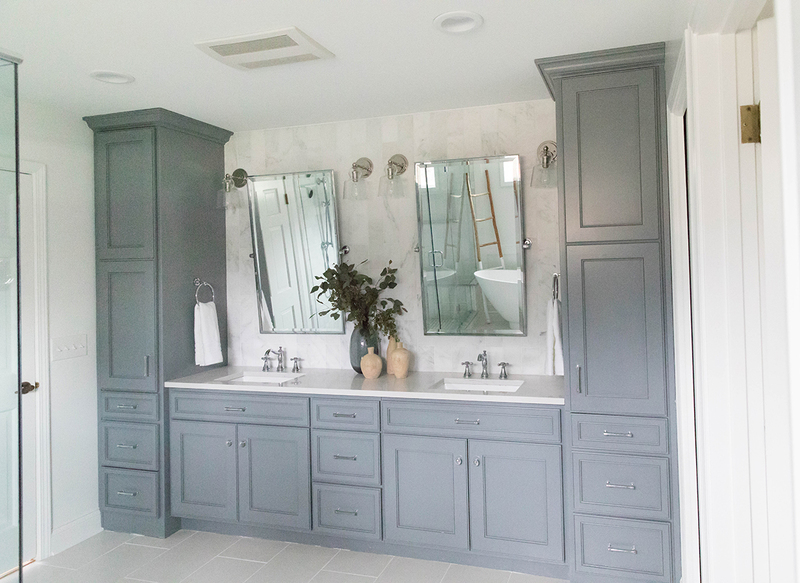 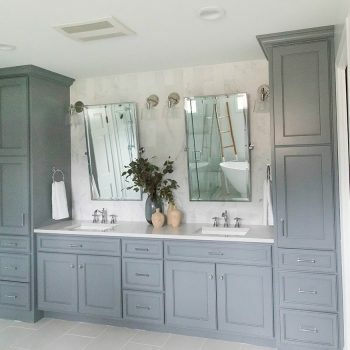 Our clients requested a contrast vanity so we chose a saturated cool gray paint color and mixed it with bright chrome fixtures, hardware and classic pivot mirrors to finish the space off. 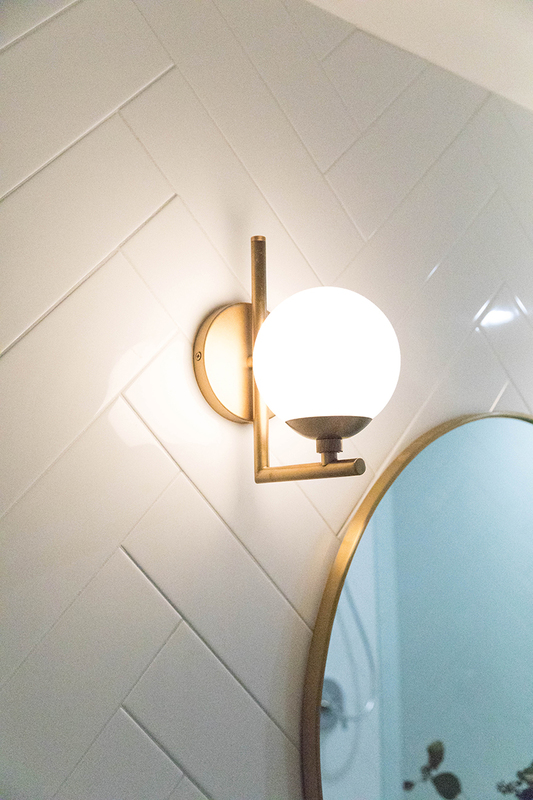 For the guest bathroom, we chose to go a little more fun and playful. 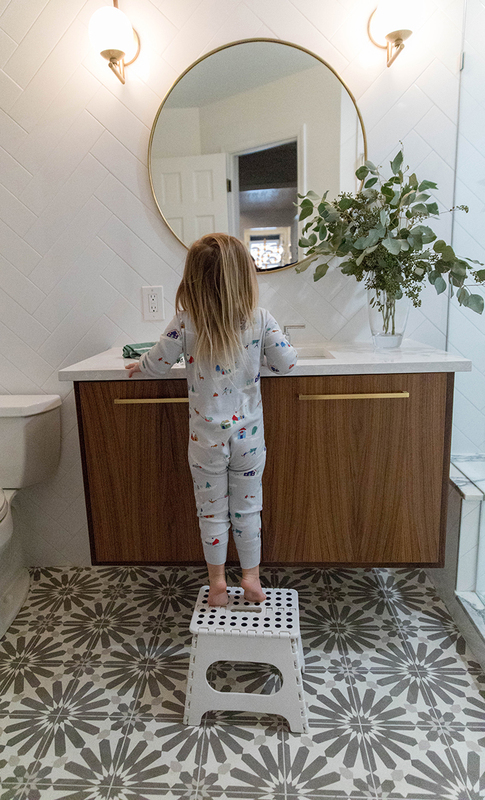 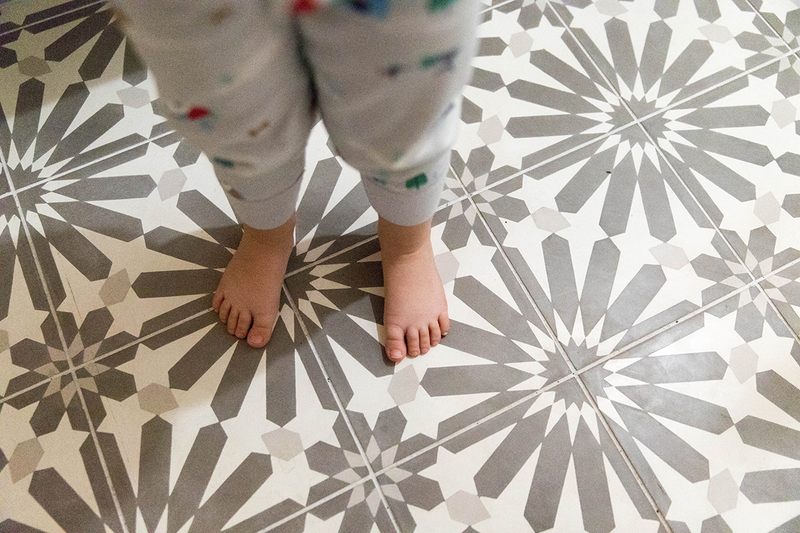 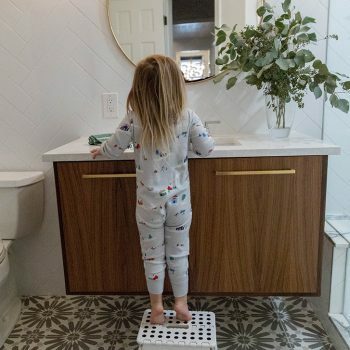 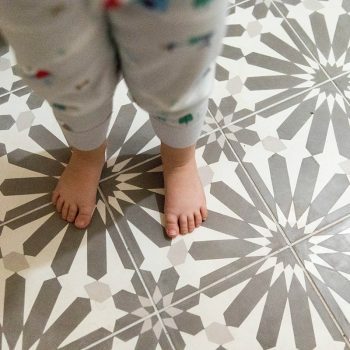 The kicking off point for the design was a patterned cement tile for the overall bathroom floor. 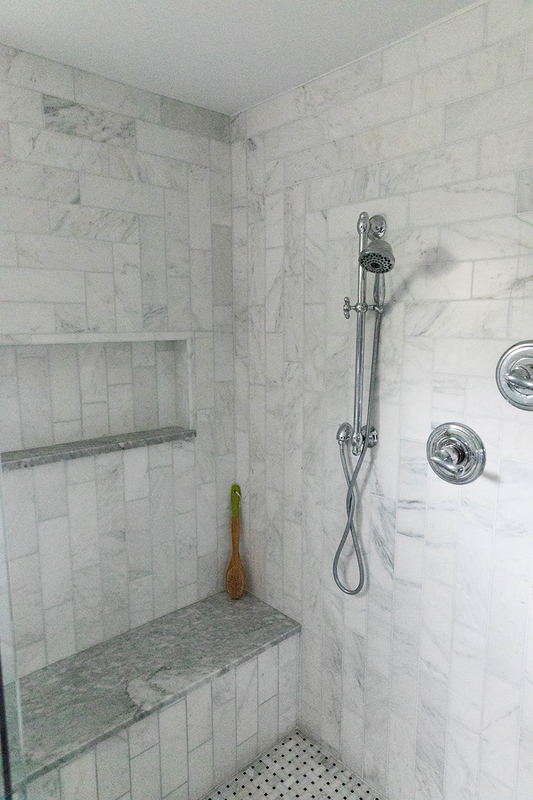 We wanted this to be the star of the show, mixed with less busy materials in the remaining areas of the bathroom. 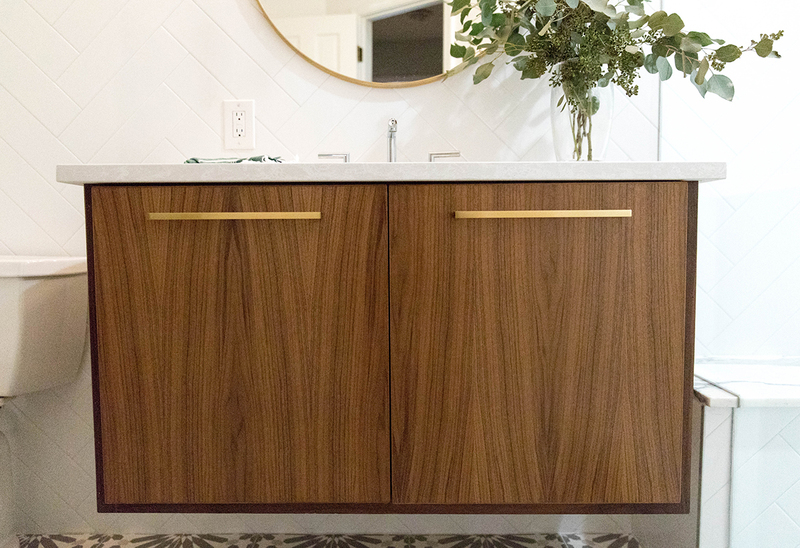 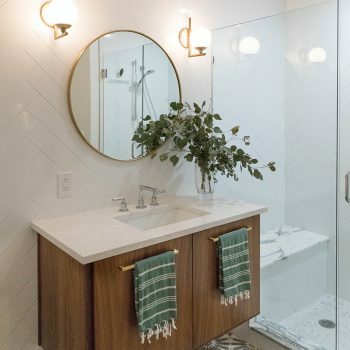 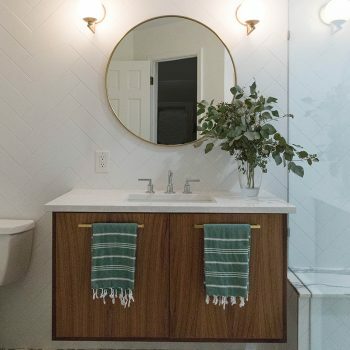 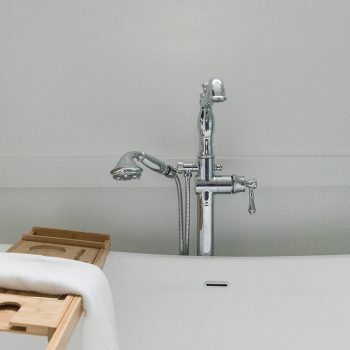 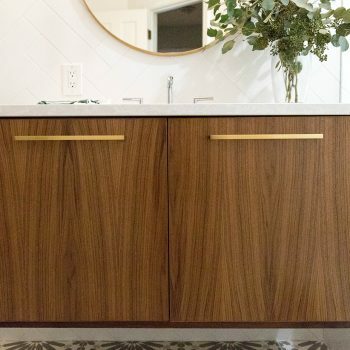 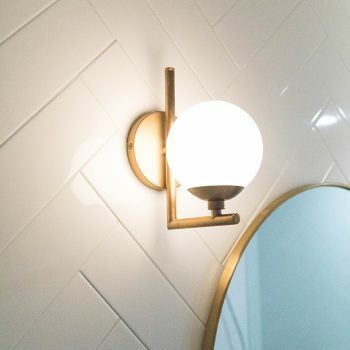 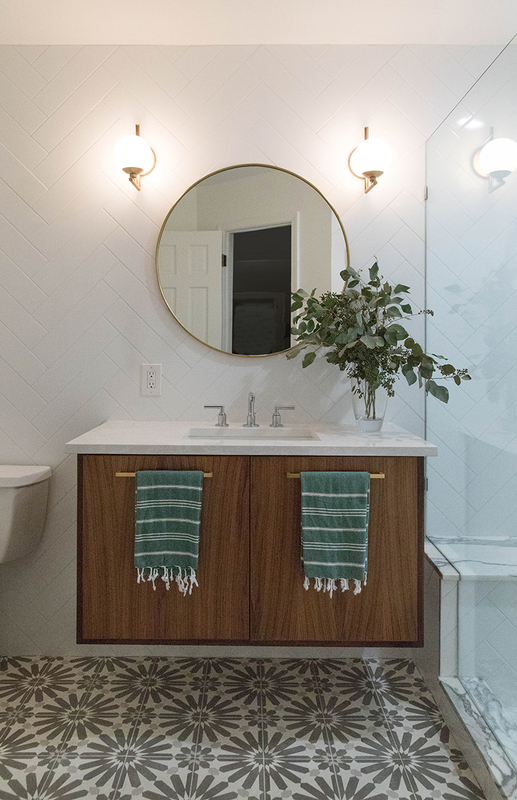 White subway tile on the walls laid in a herringbone pattern helped keep a neutral backdrop with a little edge, along with funky brass sconces, chrome plumbing and a walnut floating vanity. 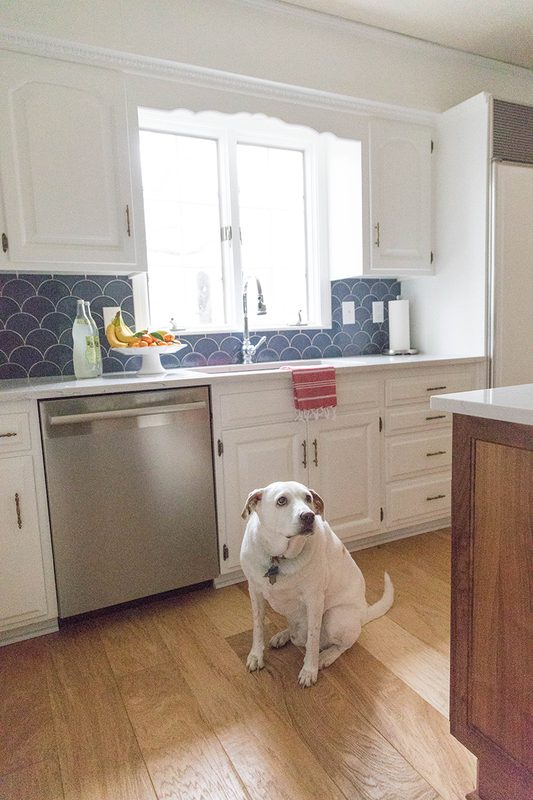 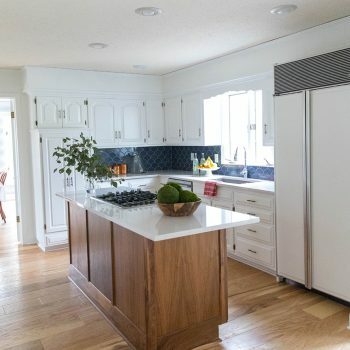 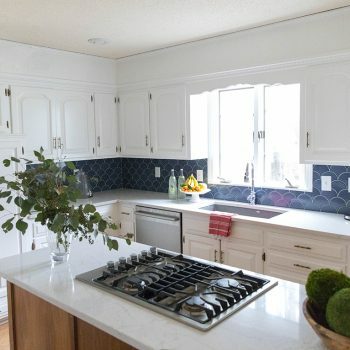 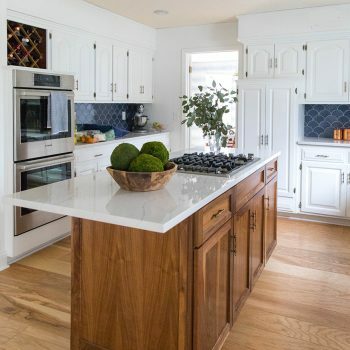 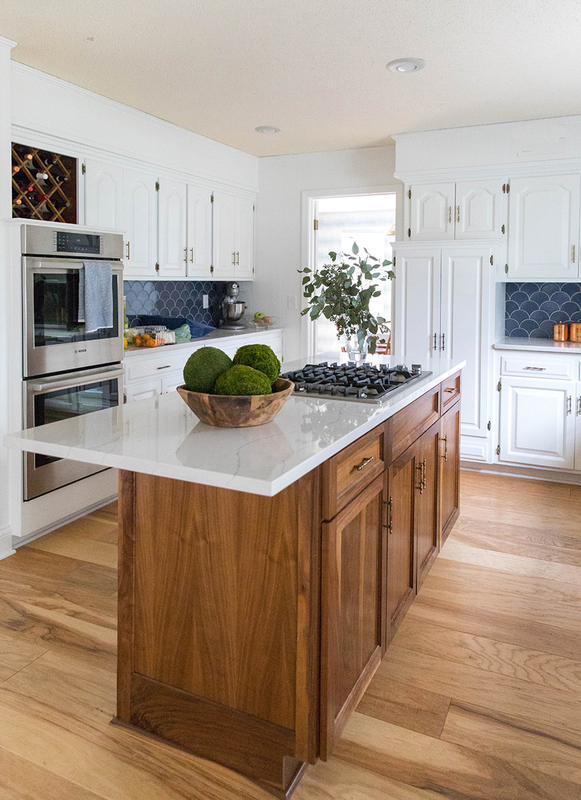 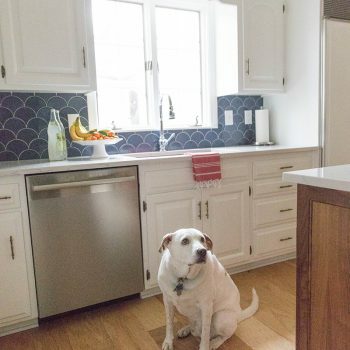 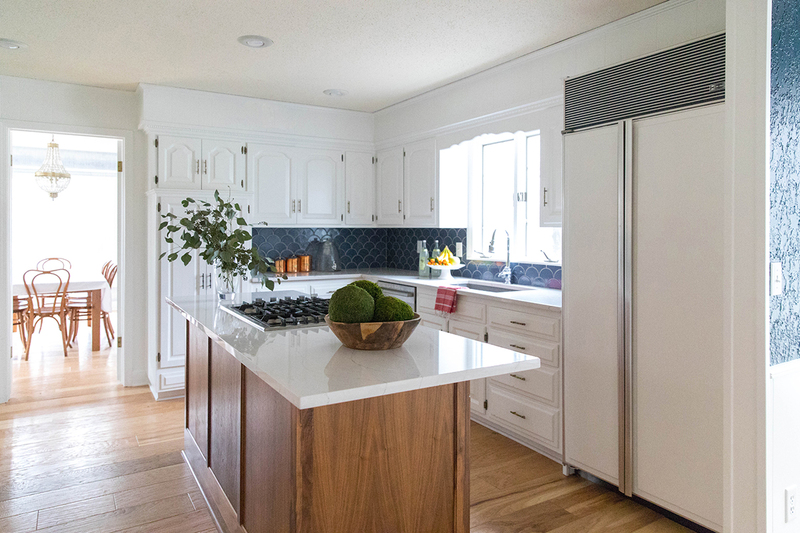 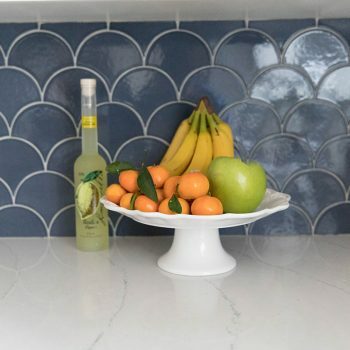 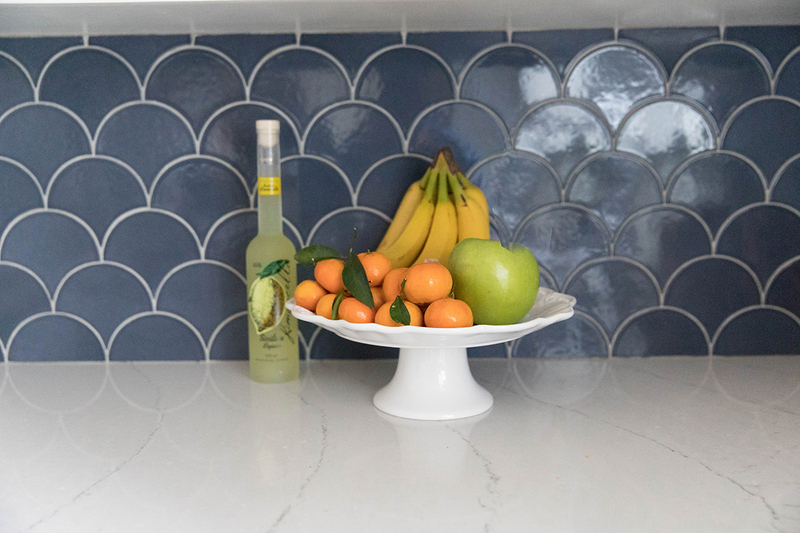 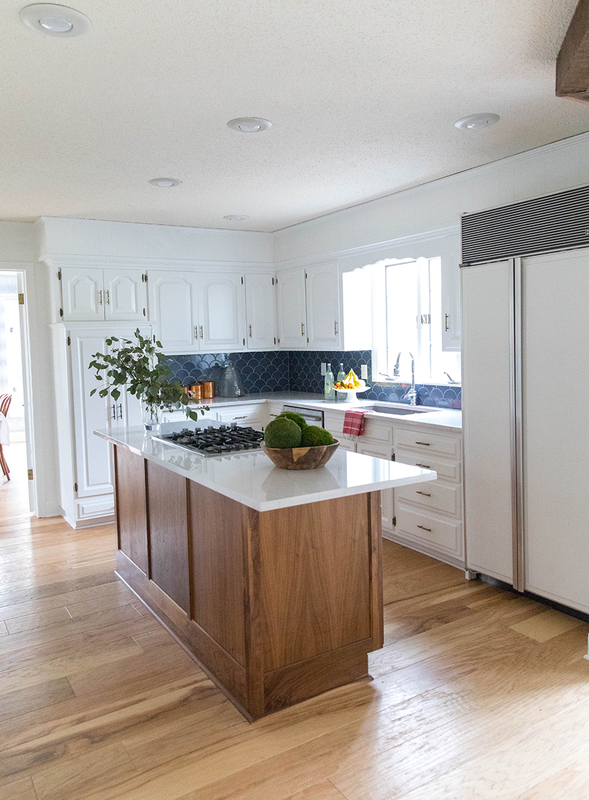 The kitchen remodel was not quite a full overhaul as the clients chose to keep the existing cabinetry but update with a fresh coat of white paint, deep indigo backsplash tile, and a new walnut island. 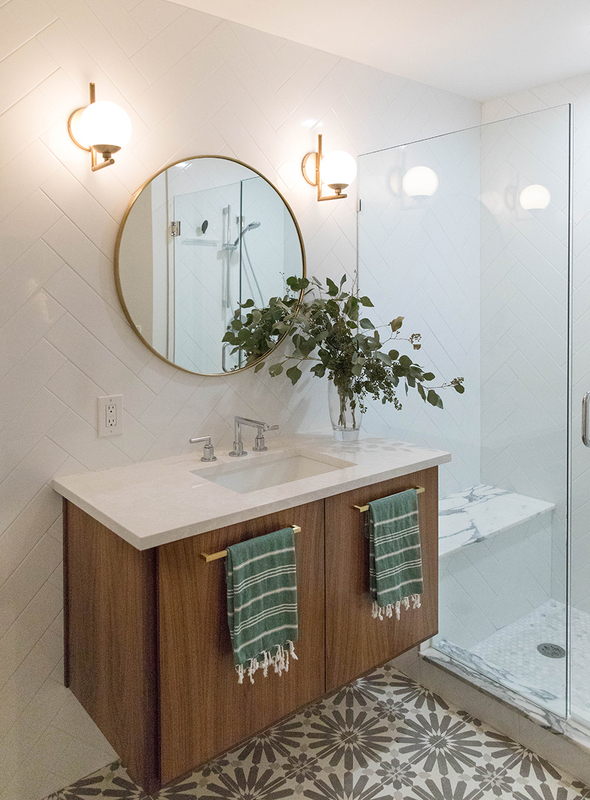 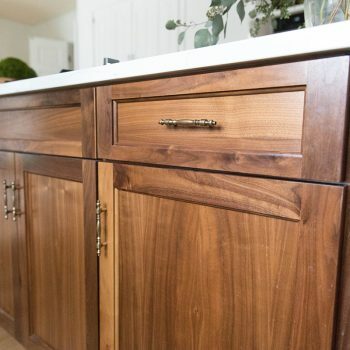 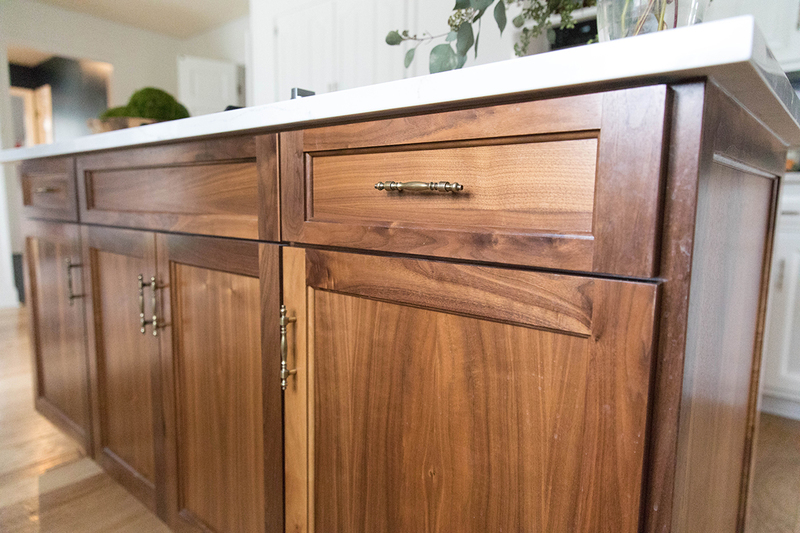 Our client spent hours polishing the original brass cabinet hardware as they wanted to retain the vintage aspect in this space. 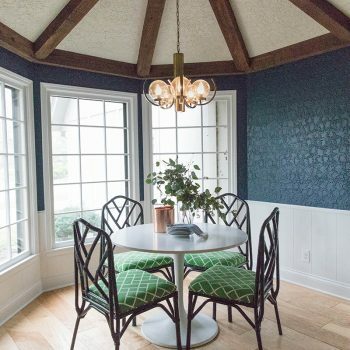 We introduced this deep indigo color back in on the paint color in the breakfast nook as well as a lighter shade of it in the shibori wallpaper chosen for the dining room. 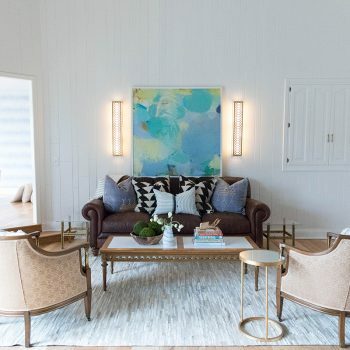 Keeping this pop of color with the overall airy, neutral vibe helped create harmony between the spaces. 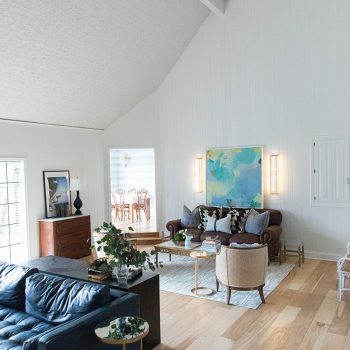 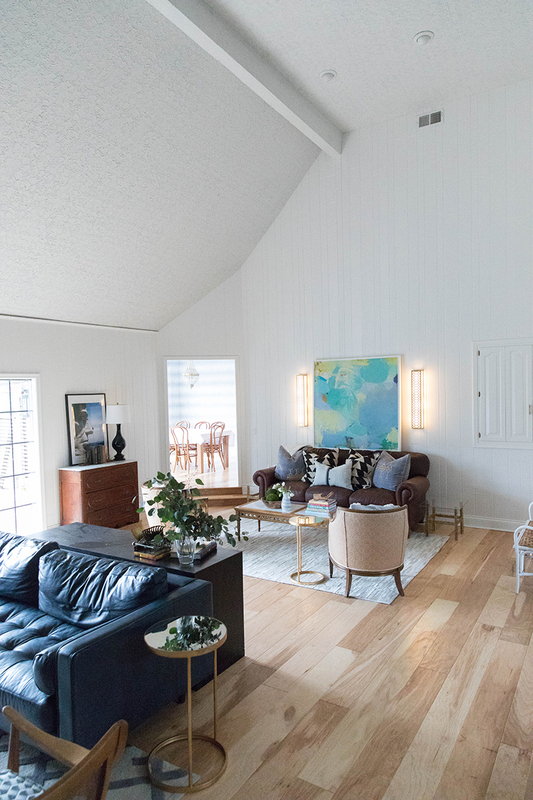 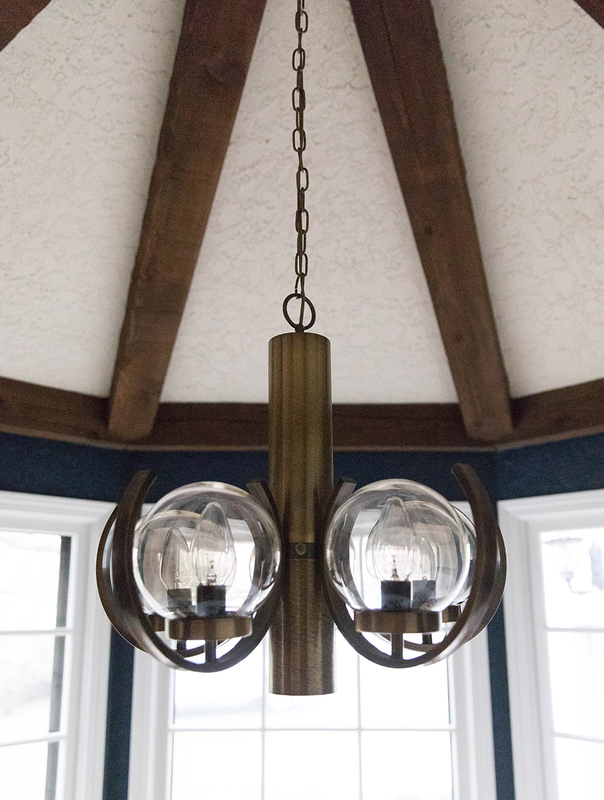 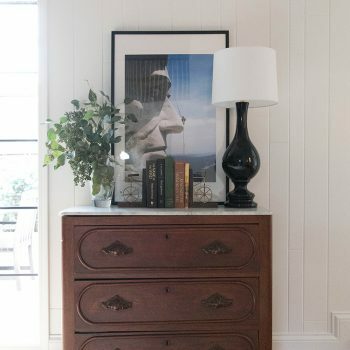 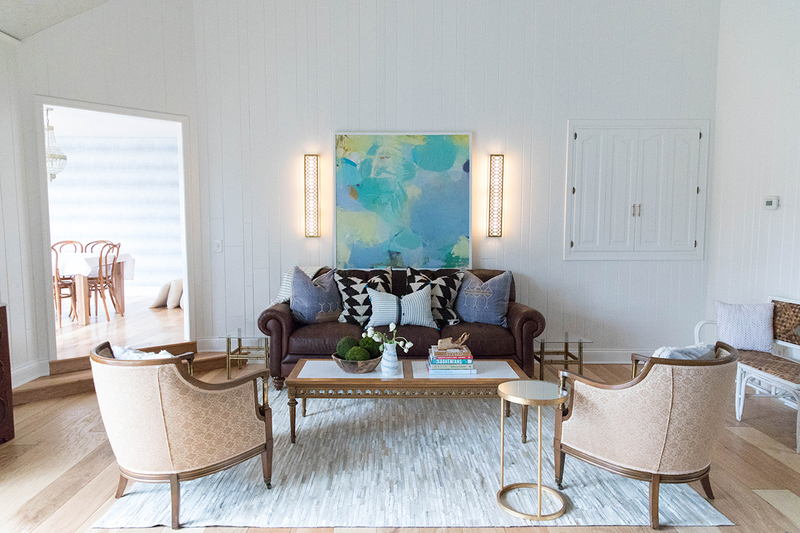 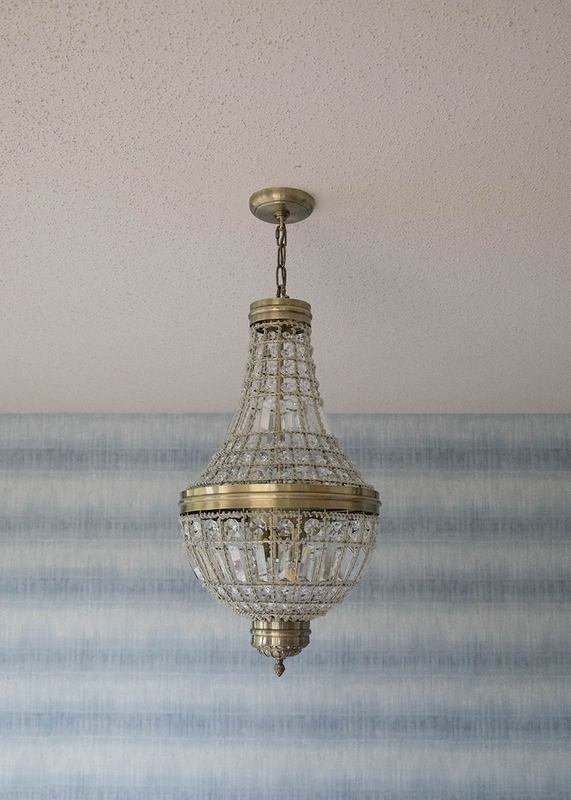 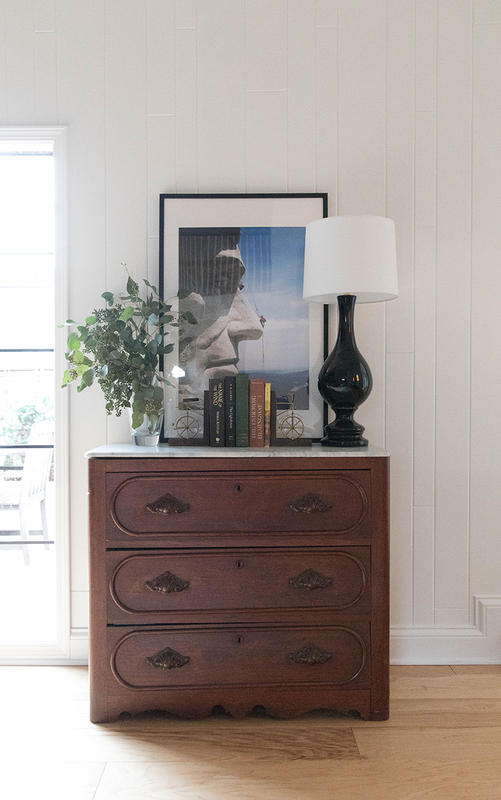 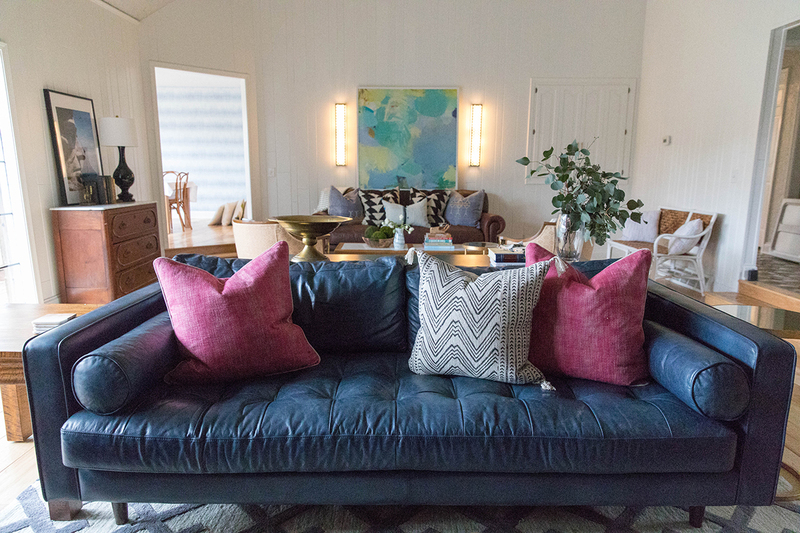 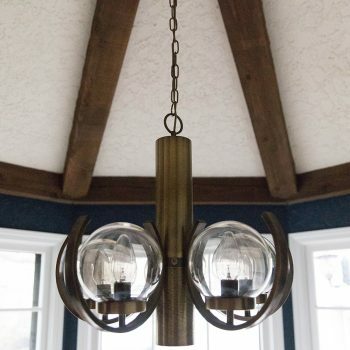 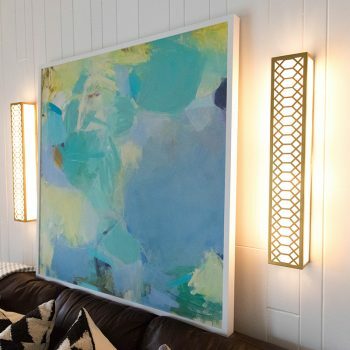 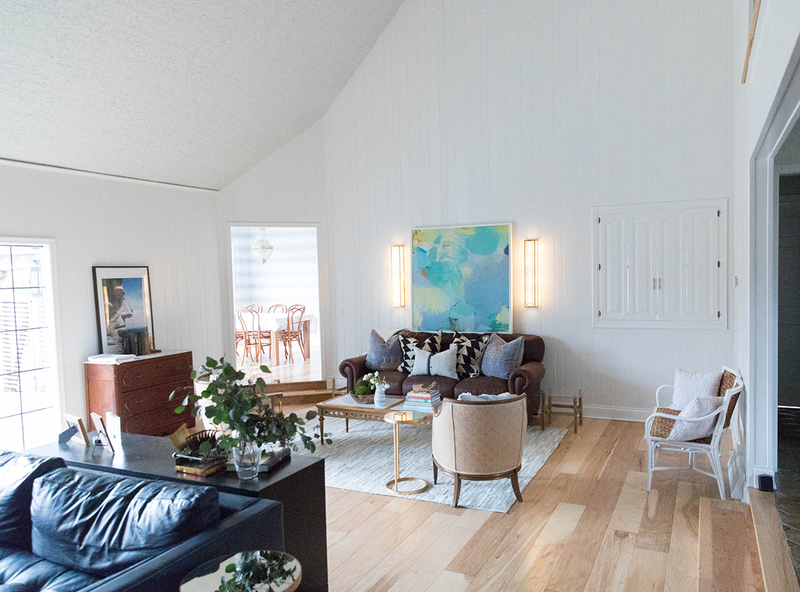 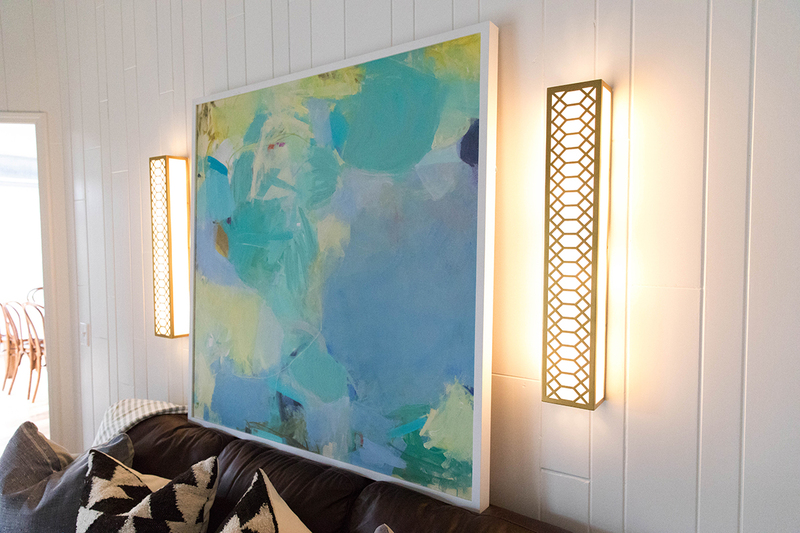 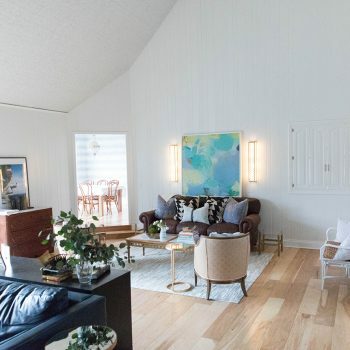 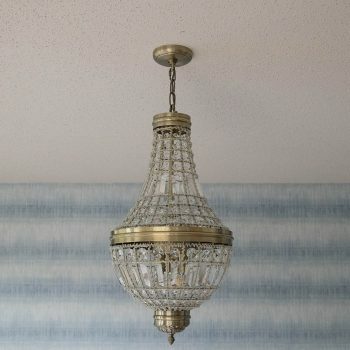 Our clients have a love for finding vintage “one-of-a-kind” pieces which transpired into finding the light fixtures in the entry and breakfast nook. 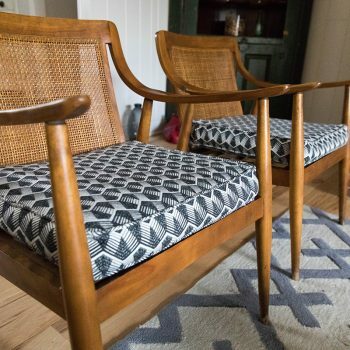 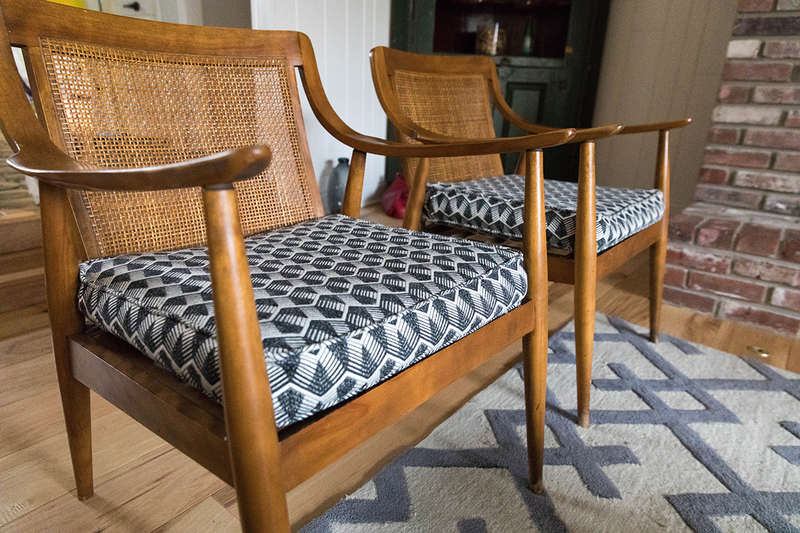 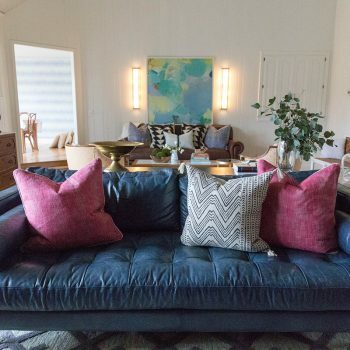 They also integrated vintage and new pieces on the furnishings for a collected, unique feel to finish off the spaces. 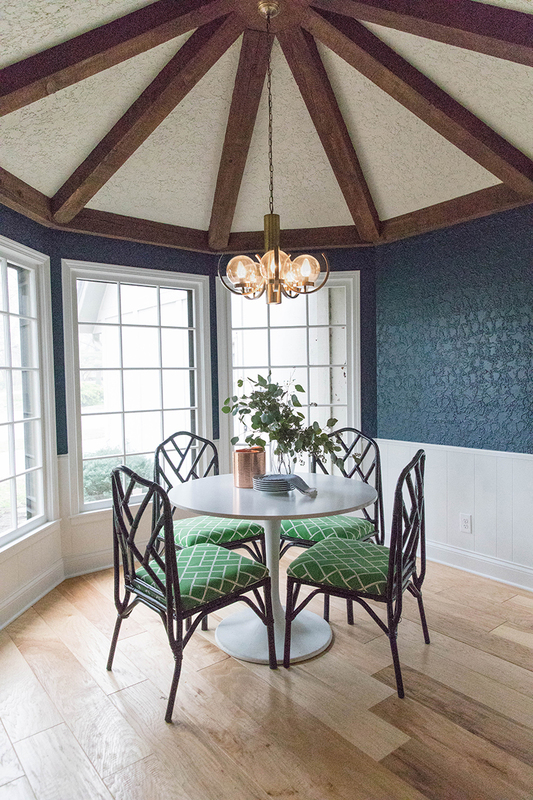 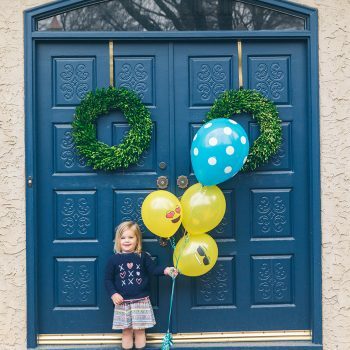 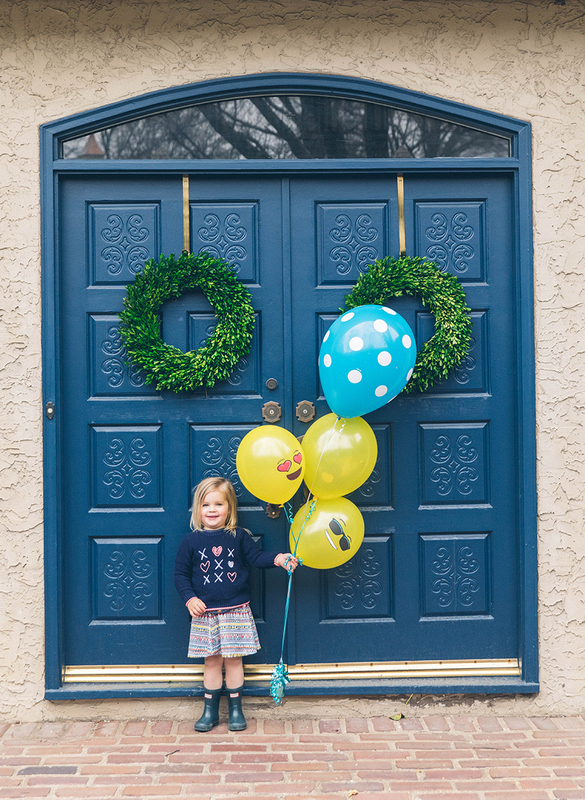 In the end, we created a bright cheerful space for a young family of three to enjoy while keeping the history of the home in tact, a win-win for all!